Shopping is more than a pass time or a necessity – it can be a real hobby, or even an artform. Okay, maybe that is a stretch. But for serious shoppers, sales, loyalty programs, and beloved mom and pop shops are a real treasure. New Jersey has plenty to offer shoppers, being so close to New York City and having a seemingly infinite amount of shopping strips and malls. But what many don’t know is that Newark’s Ironbound is a hidden gem for shopping, or in particular, jewelry shopping. Any quick google search will render a plethora of articles detailing the heydays of Newark being a shopping destination. However, there is not much about the ironbound. Honestly, it is nearly impossible to drive down Ferry Street without seeing at least one or two jewelry stores. 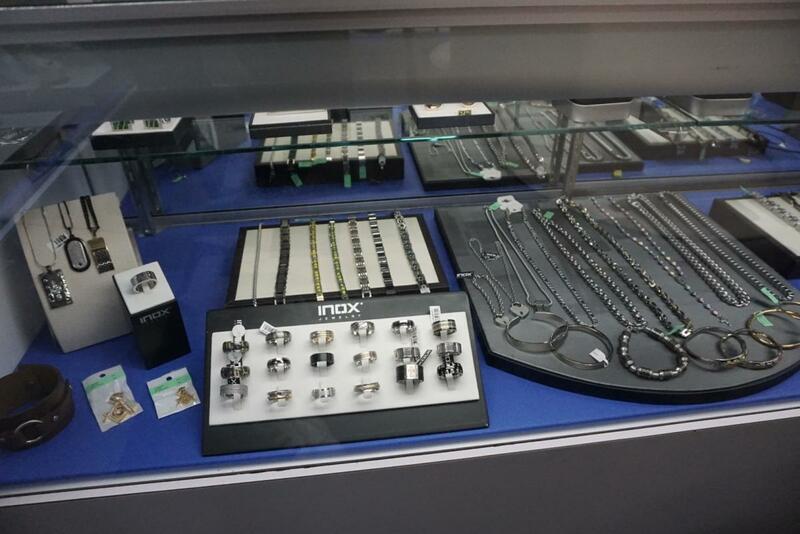 Most of them have been open for decades and all of them offer beautiful imported items in a large array of metals and precious or semi-precious stones. Many of them also offer high-end costume jewelry as well. I was able to sit down and have a chat with George, one of the owners of Carbo International Jewelers (134 Ferry St. / Between Monroe and Madison). The store is owned by two brothers, George and Sergio Rocha. They currently own two locations, but the Ironbound store was their first. The brothers got into the retail jewelry business after being in the wholesale sector in New York City. There was already an established jewelry store in place, which they purchased in 1996 and have been in the business ever since. No offense to their West New York location (which I have, personally, never visited) but it is hard to imagine it being better than their Ironbound store. They have a beautiful selection of women’s and men’s jewelry as well as a wedding collection. But what really caught my eye was their extensive display of watches. They carry many contemporary brands as well as luxury for both men and women, as well as unisex (I love large face watches). It is a must see for watch collectors and savants. Jewelry style definitely is personal. 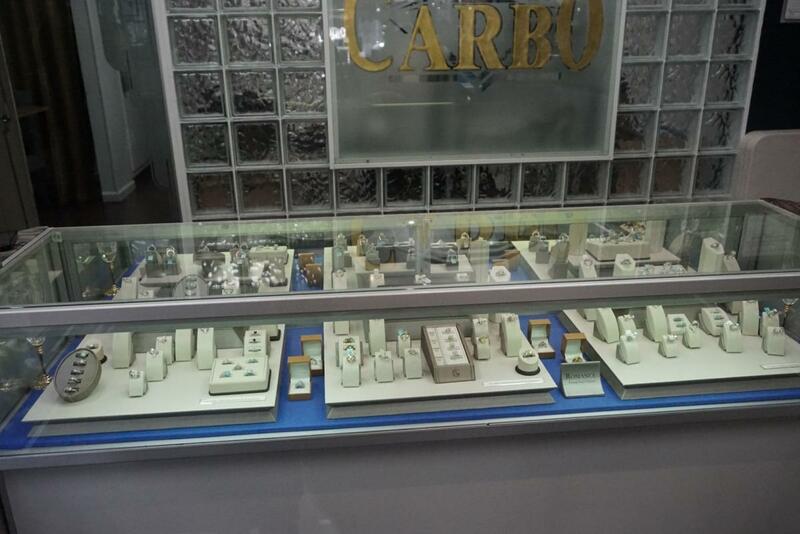 If Carbo doesn’t carry what you are looking for, then there are several other jewelry stores within walking distance that may tickle your fancy. 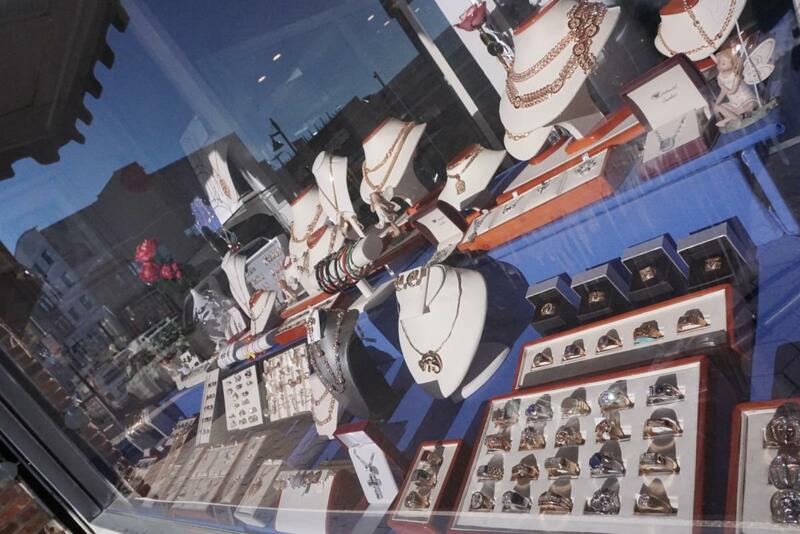 Vinhas Jewelers has two convenient locations on Ferry Street (197 & 87 Ferry Street). Other popular stores include Joias de Portugal (104 Ferry Street) and Coimbra Jewelers (54 Ferry Street). Besides these, there are several others that are worth visiting. If you’re shopping for a specific item, I do strongly suggest visiting several. Fine jewelry shopping should be done with time and thought. After all, the right pieces often end up being timeless heirlooms and even investment pieces. But don’t think too long. Valentine’s Day is right around the corner and jewelry is the type gift that never goes unappreciated. 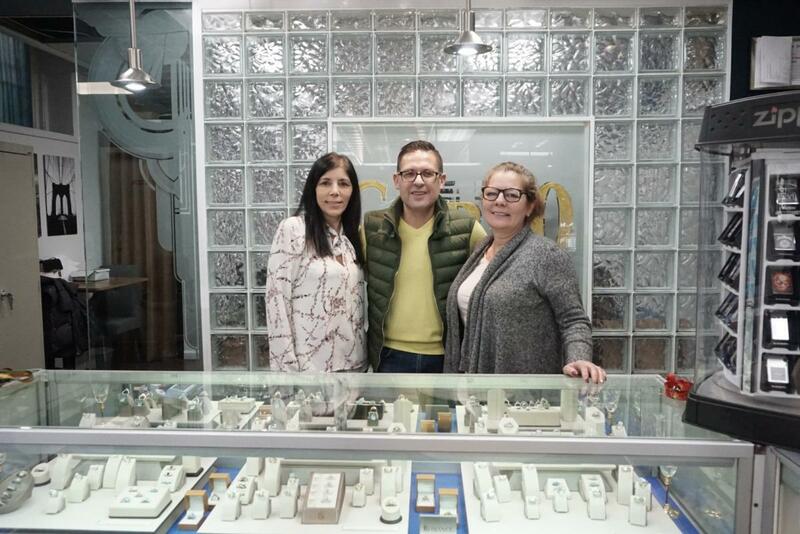 If you’re visiting the Ironbound for it’s fabulous food, nightlife, and ambiance, consider making a day out of it and visit some of amazing jewelry stores available down in the Ironbound. You won’t be disappointed.